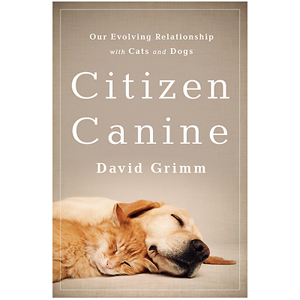 David Grimm, journalist and editor at Science, has published a book about our increasingly personal connection to our pets. This worthwhile read is called Citizen Canine: Our Evolving Relationship with Cats and Dogs. A central theme is cats and dogs’ path to legal personhood. The book explores answers to two questions. Do cats and dogs have legal status greater than that of property? Should cats and dogs gain legal status equal to that of persons? Drawing on Citizen Canine, I’ll briefly answer (1) and then review responses to (2). I’ll critique analogies that compare cats and dogs to other groups that have been denied legal personhood, including blacks, women, children, and the developmentally disabled. That “Maybe soon…” may have an ominous ring to it—particularly for those who answer the “Pets = Persons” question with a firm “No.” The American Veterinary Medical Association (AVMA) worries that if pets become legal persons, then veterinarians become more vulnerable to potentially crippling malpractice suits. The National Association for Biomedical Research (NABR) fears a slippery slope from pets’ rights to lab rats’ rights to no more scientists’ rights to study human diseases using animal subjects. Consequently, both AVMA and NABR actively oppose legal efforts to elevate cats and dogs’ legal status above that of property. Since Corporations are now more than privileged businesses by Citizens United SC Case (adjudged people just as voters), what would happen if a dog were to Incorporate its commercial endeavors, e.g. Spot & Rin Tin Tin Counseling Service, Inc.
A new Double-Legal status as Dog & Corporation! Ha! Legal personhood can be a strange beast (pun intended). The argument for moral and, thus, legal personhood looks to be a bit easier to make for pets as opposed to corporations. For instance, cats and dogs are sentient, and sentience has a long history (stretching at least back to Jeremy Bentham in the West) as being sufficient for inclusion in the moral community. Corporations aren’t sentient creatures. But it seems we can speak intelligibly about them having rights and responsibilities, just as individual persons do. Still, I must admit I’m unfamiliar with the arguments given in Citizen United for corporate personhood. I should check that out. Thanks for commenting, Connor. EDIT: Note that I’m not endorsing sentience as being sufficient for moral personhood. I’m just saying we can see how, e.g., classical utilitarianism makes pet personhood—but not so much corporate personhood—intelligible. Thanks for drawing attention to this book and for your response. How do you think we should address issues brought up by animals such as the elephant who can pass the mirror test? This test suggests that they are, in fact, self aware to some degree. Should this level of intelligence warrant greater protection or should a mollusc be lumped in with an elephant? (Should we base our level of protection on a sliding scale?) Could we not assign some desgination that would ensure our pets and other more intelligent animals are protected vigorously and offenders properly prosecuted without assigning them something akin to human rights? Insofar as higher cognition (like a psychological self-concept) is found in non-human animals, I think that, intuitively, it does warrant greater protection for those animals. But I also think we have to keep in mind our intuitions about the moral status of children and the developmentally disabled. I really don’t mean to drop a reading list on you, Mark, but there’s an illuminating exchange about cognition and personhood between Peter Singer (of Animal Liberation fame) and Eva Kittay in the journal Metaphilosophy. My own thinking on this issue is still developing, so I feel more comfortable just sharing some stuff that I think we have to consider when answering the questions you pose.